Oh Dough's Nutella Granola Is So Good That You Will End Up Eating It Before You Can Even Spell MILK! One of the best granola options to try out in town. 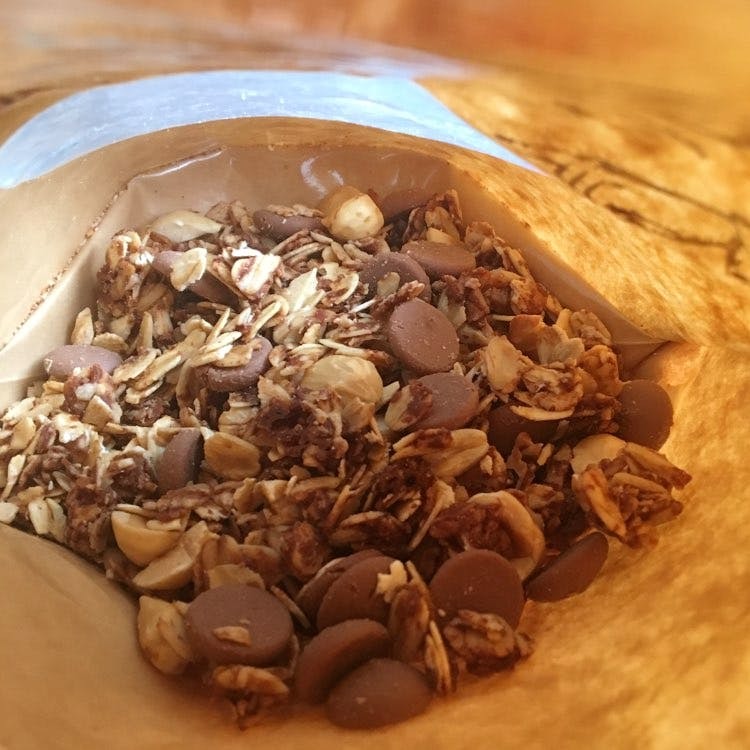 The crunchy bits are perfectly sized to either pick up and eat right away or if you fancy a bowl of granola and milk you still will be satisfied. The generous servings of chocolate chips are great so no argument over there. More chocolate chips are always welcomed! If you head to their store don't forget to try out the great choice of cookies they have there too. The granola pack is for INR 460 and is roughly 250 grams so it's good for multiple servings. The chocolate chips make it tough to share it with your friends since it's so good, but do try and share.